Hello! It's nice to meet you. I am a creative thinker with an appetite for affecting the way that customers view and interact with their favorite brands on and off the internet. 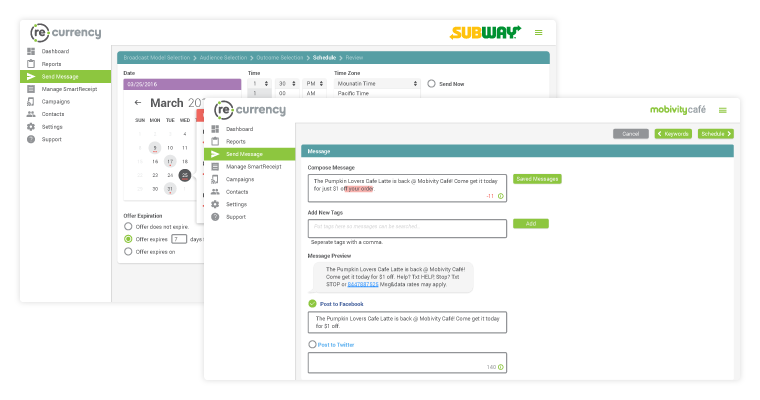 I have had the pleasure of working with early stage companies, international franchise brands like Subway, and a little bit of everything in between. Currently I spend my days building on the creative and marketing team at Mobivity. 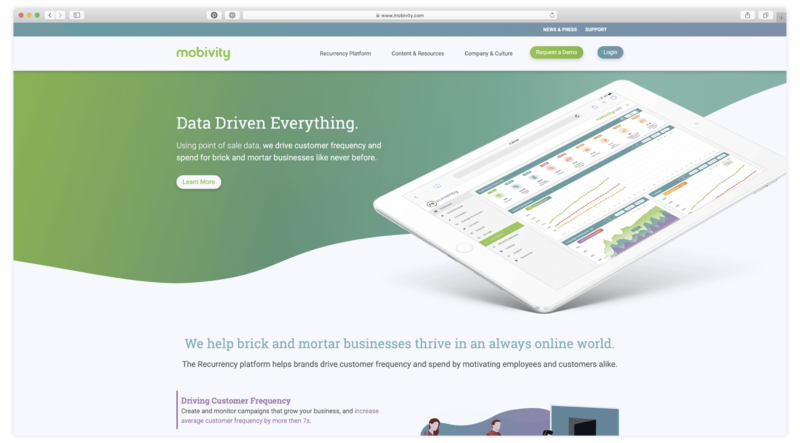 I led the design team at Mobivity in the creation of a visual system that helped to unify Mobivity's web presence, while evaluating how to best communicate the platform's value proposition to restaurant and retail brands, and internally built and deployed the site in early 2019. Throughout 2017, I worked closely with the Product, Client Services, and Engineering departments to completely rethink Mobivity's core platform, Recurrency, and ensure that each feature and product spoke the same visual language.